And have a wunnerful “Independence” day folks, in Babylon. I’m going to go and be interdependent with my homies, where there are no fireworks, and people are living their anarchistic ideals. Recent leaks of classified documents have pointed to the role of a special court in enabling the government’s secret surveillance programs, but members of the court are chafing at the suggestion that they were collaborating with the executive branch. A classified 2009 draft report by the National Security Agency’s inspector general relayed some details about the interaction between the court’s judges and the NSA, which sought approval for the Bush administration’s top-secret domestic surveillance programs. The report was described in The Washington Post on June 16 and released in full Thursday by The Post and the British newspaper the Guardian. U.S. District Judge Colleen Kollar-Kotelly, the former chief judge of the Foreign Intelligence Surveillance Court, took the highly unusual step Friday of voicing open frustration at the account in the report and court’s inability to explain its decisions. “In my view, that draft report contains major omissions, and some inaccuracies, regarding the actions I took as Presiding Judge of the FISC and my interactions with Executive Branch officials,” Kollar-Kotelly said in a statement to The Post. It was her first public comment describing her work on the intelligence court. The inspector general’s draft report is among the many documents leaked by former NSA contractor Edward Snowden, touching off a roiling national debate about the proper balance between the government’s reach into Americans’ lives and the effort to protect the nation in the Internet age. The document portrays the surveillance court as “amenable” to the government’s legal theory to “re-create” authority for the Internet metadata program that had initially been authorized by President George W. Bush without court or congressional approval. The program was shut down in March 2004 when acting Attorney General James B. Comey and senior leaders at the Justice Department threatened to resign over what they felt was an illegal program. Kollar-Kotelly disputed the NSA report’s suggestion of a fairly high level of coordination between the court and the NSA and Justice in 2004 to re-create certain authorities under the Foreign Intelligence Surveillance Act, the 1978 law that created the court in response to abuses of domestic surveillance in the 1960s and 1970s. The perception that the court works too closely with the government arises in large part from the tribunal’s “ex parte” nature, which means that unlike in a traditional court, there is no legal sparring between adversaries with the judge as arbiter. Instead, a Justice Department official makes the case for the government agency seeking permission to carry out surveillance inside the United States. No one speaks for the target of the surveillance or the company that is ordered to allow its networks to be tapped or to turn over its customers’ data. Some critics say the court is a rubber stamp for government investigators because it almost never has turned down a warrant application. However, that high batting average doesn’t take into account changes the court requires in some requests and other applications that the government withdraws. For about 30 years, the court was located on the sixth floor of the Justice Department’s headquarters, down the hall from the officials who would argue in front of it. (The court moved to the District’s federal courthouse in 2009.) “There is a collaborative process that would be unnatural in the public, criminal court setting,” said a former Justice official familiar with the court. 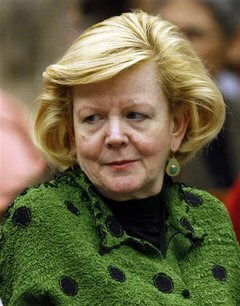 Kollar-Kotelly, who was the court’s chief judge from 2002 to 2006, said she could not comment further on the matter because “the underlying subjects” in the report generally remain classified by the executive branch. Other judges on the court have confided to colleagues their frustration at the court’s portrayal, according to people familiar with their discussion. The inspector general’s report, combined with persistent refusals by the government to declassify the opinions, have left the public in the dark about the court’s legal justifications for approving the broad surveillance programs. The court historically has authorized in secret hearings classified warrants to wiretap the calls and monitor the movements of suspected criminals. After the terrorist attacks of Sept. 11, 2001, far-reaching programs to gather Internet and telephone content and metadata were launched under presidential authority, without congressional action or approval from the surveillance court. The Internet metadata portion of that program had to be revamped after Comey and other Justice officials threatened to resign. Metadata are information indicating facts such as an e-mail’s sender and recipient and its time and date, but not its content. In May 2004, the NSA briefed Kollar-Kotelly on the technical aspects of that program’s collection, according to the report. She also met with the NSA director, Lt. Gen. Michael V. Hayden, on two successive Saturdays during the summer of 2004 to discuss the issue, the report said. On July 14, 2004, the surveillance court for the first time approved the gathering of information by the NSA, which created the equivalent of a digital vault to hold Internet metadata. Kollar-Kotelly’s order authorized the metadata program under a FISA provision known as the “pen register/trap and trace,” or PRTT. The ruling was a secret not just to the public and most of Congress, but to all of Kollar-Kotelly’s surveillance court colleagues. Under orders from the president, none of the court’s other 10 members could be told about the Internet metadata program, which was one prong of a larger and highly classified data-gathering effort known as the President’s Surveillance Program, or PSP. But the importance of her order — which approved the collection based on a 1986 law typically used for phone records — was hard to overstate. “The order essentially gave NSA the same authority to collect bulk Internet metadata that it had under the PSP,” the inspector general’s report said, with some minor caveats including reducing the number of people who could access the records. On May 24, 2006, Kollar-Kotelly signed another order, this one authorizing the bulk collection of phone metadata from U.S. phone companies, under a FISA provision known as Section 215, or the ”business records provision,” of the USA Patriot Act. The court also agreed in 2007 to permit the government to collect the content of e-mails and phone calls to and from the United States when “there is probable cause to believe” that one of the parties is a member of al-Qaeda or an associated terrorist group. That program, known today as PRISM and described in documents obtained by The Washington Post, eventually was authorized by Congress. Kollar-Kotelly could be a stern taskmaster when she thought the NSA was overstepping its bounds. In 2004, she temporarily shut down the government’s surveillance program when she learned of a key NSA failure, The Post reported in 2006. The agency was not properly walling off information gained in warrantless surveillance and may have been using the information to obtain court warrants, which was forbidden. In 2005, the problem resurfaced and she issued a strong warning to the government that it had to fix the problem or would face trouble obtaining court warrants. Kollar-Kotelly “understood the problems that the government, particularly the Defense Department and the intelligence community, were facing in trying to keep this country safe,” said Robert L. Deitz, former NSA general counsel under Hayden. Still secret are the 2004 decision accompanying the PRTT court order and the legal opinion accompanying the 2006 business records order. A former senior Justice Department official, who spoke on the condition of anonymity because of the subject’s sensitivity, said he believes the government should consider releasing declassified summaries of relevant opinions. Lawmakers and civil-liberties advocates have been pushing the Obama administration for several years to declassify these opinions and other opinions from Justice’s Office of Legal Counsel that explain the legal justification for these programs. The Office of the Director of National Intelligence has led an effort to review these opinions to see what, if anything, can be declassified. But Robert S. Litt, ODNI general counsel, has argued that declassification can be difficult when so much of the legal reasoning is intertwined with facts that need to remain secret lest they tip off enemies about surveillance methods. Still, the former official explained, segregating relevant facts from classified material is routinely done in criminal proceedings under the Classified Information Procedures Act. In those cases, the government can extract the information that is relevant to the defense, the judge approves it, and it is provided to the defense. Colleen Kollar-Kotelly, preserver of freedom and democracy. have fun, JC. I wish I could go, because I need some positive interactions to counter what I’ve been dealing with the last few weeks.